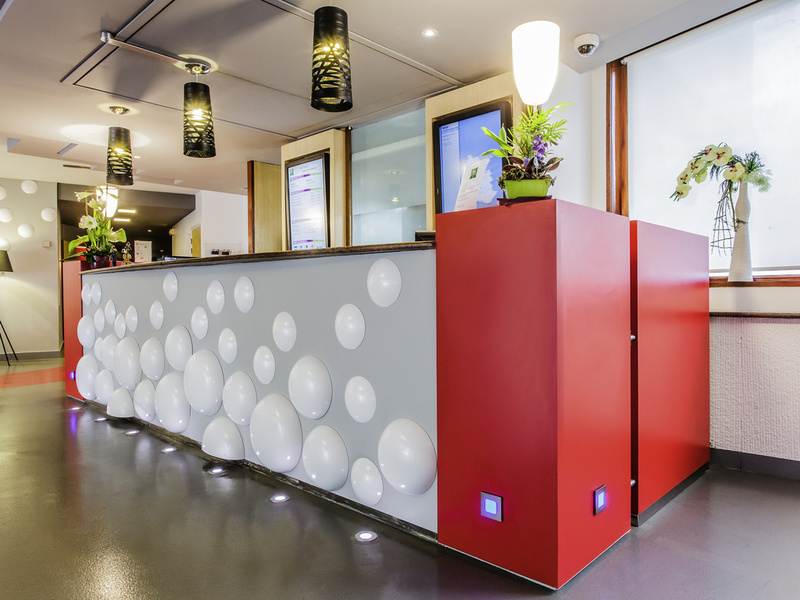 The whole team at the ibis Styles Lyon Sud Vienne hotel welcomes you to the Rhone valley, on the edge of the wine route. Breakfast and WIFI are included in all prices at the ibis Styles Lyon Sud Vienne hotel. Just 15.5 miles south of Lyon and 20 mins from Saint-Exupéry Airport, our hotel is ideally situated whether you are coming from Paris, Marseilles, Grenoble, Chambéry, Saint-Étienne or Clermont-Ferrand. Our designer rooms are soundproofed and air-conditioned, and we offer 10 meeting rooms from 215 sq. ft. to 1292 sq. ft. and a large free enclosed car park. Our Courtepaille restaurant serves a variety of grilled meats. The Courtepaille restaurant at the ibis Styles hotel offers a selection of grilled meats for lunch or dinner! Relax at the bar: At any time of the day, enjoy a friendly and colorful space, and why not have a game of foosball? Nära motorvägen. Bra om man har hund med; får lov att komma med i rum, bar och matsal. Bra grönytor ute för rastningen. Säker parkering. Rum och reception/bar har deco enl. namnet; style. Restaurangen har det absolut inte. Dessutom små portioner och ganska dyrt. Hyfsad fransk frukost. Väldigt gammalt rum/badrum, inte ok för ett Ibis Styles. Endast receptionen var modern. Rum och frukostsal var äldre och sämre standard. Kände mig lurad och besviken.